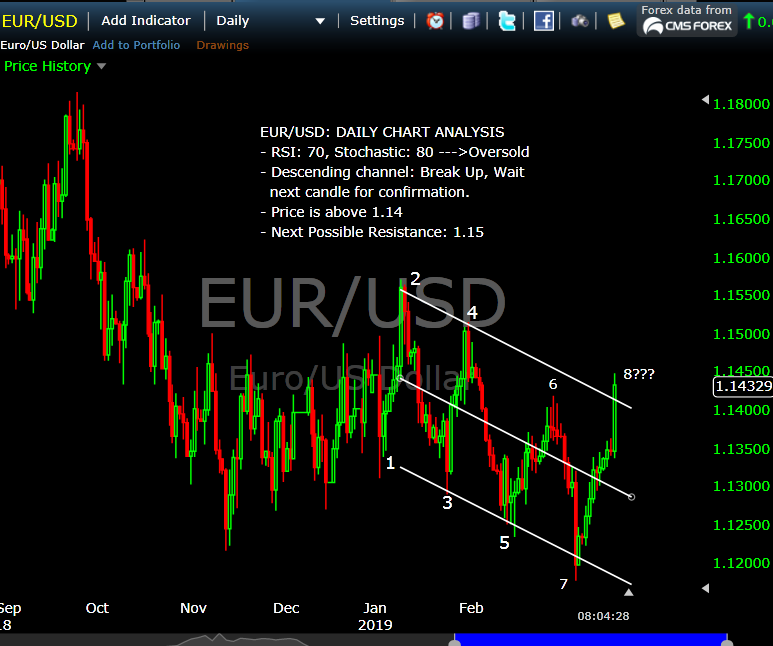 Last week, I had a technical analysis with descending channel for possible sell range. It is not valid, and my account are 20% Loss right now. - I sold at 1.1360, and not move stop loss to break even or block in profit when price was at 1.1350. - I should close my trade because of big News today: FOMC Statement, FOMC Economic Projection, Fed Interest Rate Decision. - I should not risk too much even though the trading plan is very good. - I should not trade during Big News to avoid Big Loss, Volatile. ---> Lesson are learned by the hard way. Rule 2: Apply Money Management: I may be right 1000 times, but wrong 1 time can blow up my account. Therefore, do not overtrade, trade oversize. There are always risk and anything can happen in Forex. Rule 3: Apply Trade Management: Set Stop Loss and Profit Target for every Trade, Move stop loss to break even or block in some profit. There is no time to regret what I did! Let's get back to work. "Technical Analysis is an art and science." Traders have different opinions of market, and can draw different patterns which can make sense at the time. I have to accept it and anything can happen with Forex. 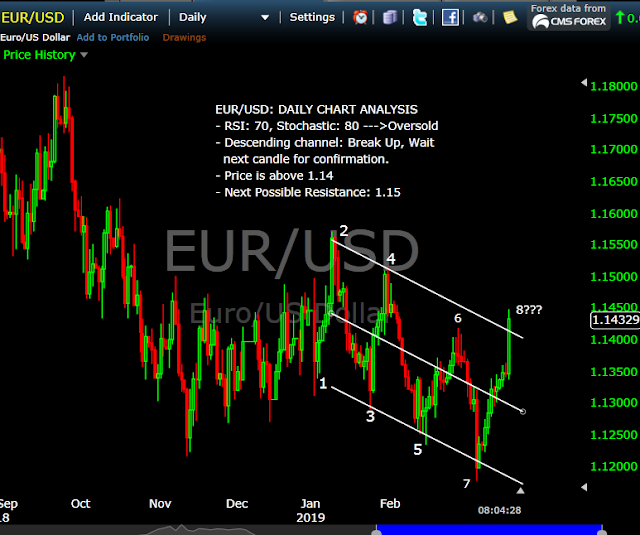 Break up channel or false break out? - Price is above trend line. 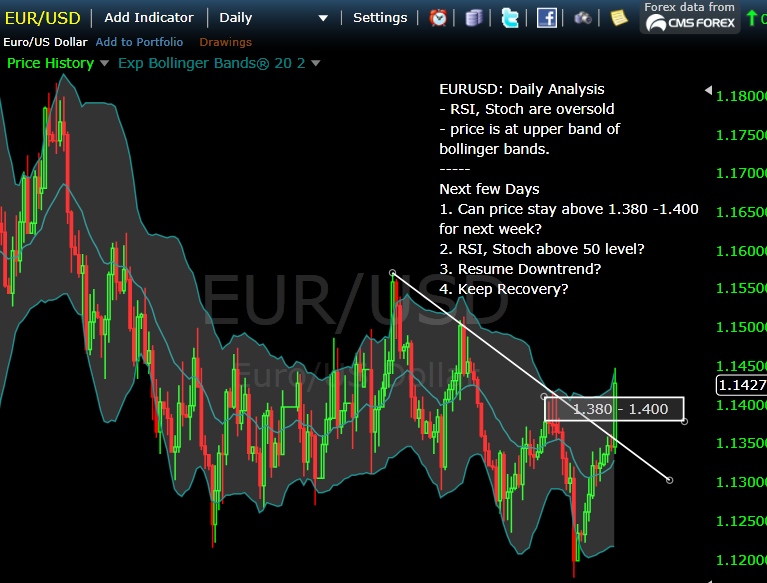 - Buy If price is above 1.1380 - 1.140? Typos: RSI, Stochastic are overbought.